Rainstar25 shares their opinion on Swiftpaw. Warning: Extremely unpopular opinion ahead! I don’t like Swiftpaw. Before you burn me at the stake, let me explain why I dislike the cat who suffered a brutal death. In “A Dangerous Path”, the 5th book of the first arc, there was a problem with dogs loose in the forest. This was also the time Bluestar’s depression were at its peak; she lost her faith in StarClan and her trust in her Clanmates with the exception of Fireheart, her deputy. After Cloudpaw made fun of StarClan, Bluestar decides to make him a warrior; his warrior ceremony was not like the other ceremonies due to the fact that the other apprentices, Brightpaw, Swiftpaw, Ashpaw Fernpaw and others, didn’t become warriors along with Cloudtail that day. Swiftpaw, tired of waiting to become a full-fledged warrior, urges the other apprentices to go on a journey with him to find what was in the forest because, at the time, they didn’t know what was inside the forest leaving the rabbit carcasses (I don’t have the book with me so I’m only going by memory so correct me if I’m wrong) to prove they have what it takes to become warriors. Of course, the apprentices turned down such a dangerous plan, but Brightpaw agreed to go with him. The next day, Fireheart, Graystripe, and Sandstorm, find Swiftpaw’s mauled body and Brightpaw severely injured, but alive. He died fighting the dogs, protecting Brightpaw as best as he could; I admire that about him. However, it was his poor decision that got him killed. 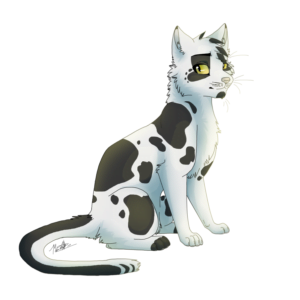 I see a lot of people blame Bluestar for Swiftpaw’s death and I don’t understand why. She didn’t tell him to sneak out the safety of ThunderClan camp and go after whatever was inside the forest. She didn’t make him a warrior, so what? Swiftpaw chose to sneak outside camp, underestimated the dangers, and got himself killed and Brightpaw injured. Swiftpaw’s death was tragic and brutal, but it could’ve been avoided if his desire to be a warrior hadn’t cloud his judgement. I’m just glad the apprentices didn’t go with him that day. I disagree with you. You probably wouldn’t be saying “so what?” if you were stuck in one grade of school forever. Swiftpaw kept trying to prove he’d be a good warrior but Bluestar completely ignored that. Swiftpaw kept trying to become a warrior, but Bluestar kept ignoring him. Then Cloudpaw became a warrior even though Swiftpaw had been working harder than Cloudpaw. If that happened to you, you’d probably be annoyed as well, wouldn’t you? If Swiftpaw reacted the way he did after not being named a warrior, then he clearly wasn’t mature enough to earn that title anyway. The path to being a warrior is when you’ve gained enough responsibility and maturity, not when you’ve reached a certain age or when your friend/sibling has earned it. I agree completely. Swiftpaw was immature if he reacted that way to not being named a warrior. Just because you have the skills and have been training longer, it doesn’t mean that you’re responsible and mature enough to handle the role. Exactly. No matured warrior would throw a fit because their visibly mentally unwell leader didn’t give them their Warrior name. I kind of agree, it was his own fault that he went out to investigate something that was obviously dangerous, and also putting his friend in danger. It’s not REALLY Bluestar’s fault, she was mentally unhealthy and she didn’t tell Swiftpaw to head to his death. While I admire that he protected his friend/possible crush and died doing so, and while I think that his death was HORRIBLE, I don’t like how he didn’t think. Sure, he died protecting his friend but it was his ideas that got his friend into the situation in the first place. No one asked him to “prove” himself, but he decided to grab his car and a friend and head out to his death. I agree. 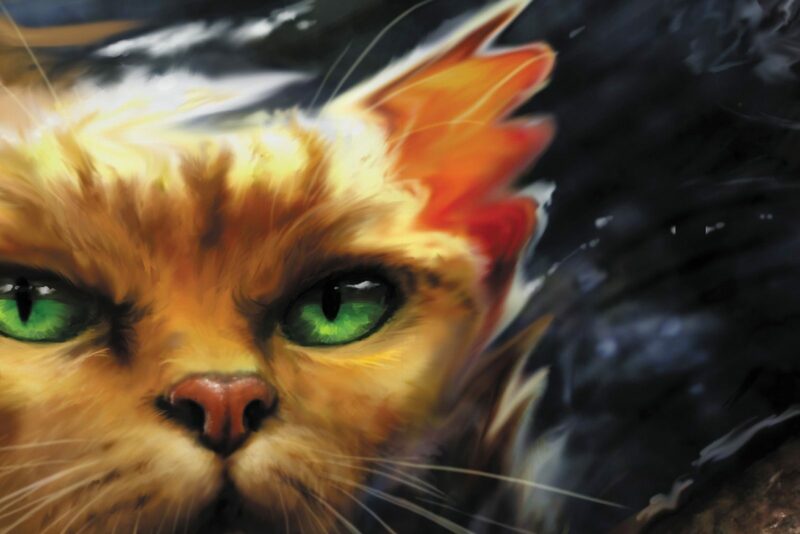 I mean okay, I get why Swiftpaw did it but he is a overrated compared to the fact that he was the reason that Brightheart lost half her face, and he was the reason that he got mauled to death by the dogs. This is very good! I understand and I feel this way a little bit. I’m kind of halfway here. I think that part of it is Swiftpaw’s fault, yes. he snuck out of camp without thinking. But I don’t blame him for wanting to become a warrior. I understand that maybe he wasn’t as mature as some other warriors, but how would you feel if you were in 3rd grade and your teacher was a little ill and wouldn’t let you leave. Bluestar didn’t not make him a warrior because she thought he wasn’t mature. It was because she was mentally ill and didn’t trust him.